If you have a friend or a relative with special needs, provisions need to be made before the person with a disability receives any substantial amount of money or obtains any property. Whether the money is coming from an inter vivos gift, a personal injury settlement, or a bequest in a will, the money could be a burden that causes loss of benefits if the transfer of assets is not handled carefully. When is special needs planning necessary? How can a St. Louis special needs planning lawyer help? When a person with special needs is going to receive an inter vivos gift, a personal injury settlement, a bequest in a will, or any substantial money or property, special needs planning may become necessary. Special needs planning is important if a person with disabilities is receiving any kind of government benefit and is coming into money. Benefits commonly received by people with disabilities, including Medicaid and Supplemental Security Income (SSI), are all means-tested. These programs are intended to provide services and financial support to people with very low household incomes and with few or no resources. This means any influx of assets from any source could result in benefits being lost. Special needs planning is also important if a person with disabilities will be coming into money or property which he or she cannot manage as a result of the disabling condition. A person with special needs may not be able to oversee investments, manage property, and make decisions on money and property. The money or property’s value could thus be lost, unless someone who is able to is given authority over it. With the creation of a special needs plan, steps can be taken to ensure that money is managed for the benefit of the person with disabilities by someone who has the appropriate knowledge and ability to effectively manage the property. Finally, special needs planning is important if you wish to make sure that a friend or a relative with disabilities is cared for and is provided with certain specific benefits after you are no longer able to provide assistance. Parents and other friends and relatives of someone with special needs may wish to name someone as guardian or may wish to provide detailed instructions for how money is to be spent for care and for enriching quality of life. The process of special needs planning generally involves appropriately structuring ownership of money, property, and other assets which are owned by, or which will come to be owned by, a person with disabilities. Typically, a trust is created and the money, property, or other assets are then owned by the trust. A trustee is appointed who is in charge of managing the assets for the benefit of the person with disabilities. The trust document can also give the trustee detailed instructions on how the money should be used to care for the person with disabilities and to enrich that person’s quality of life. With the right type of trust, the money and assets inside of the trust won’t count as assets owned by the person with disabilities. This would mean that the property could be used to enrich the quality of life for the person with special needs without causing a loss of access to any means-tested government benefits. Special needs planning may also involve naming a guardian and making other provisions for the care of a person with a disability that prevents him from caring fully for himself. 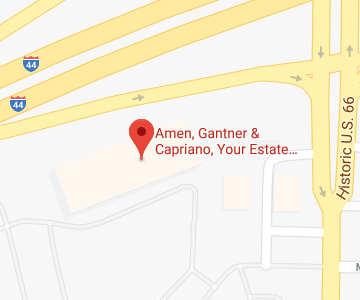 Amen, Gantner & Capriano – Your Estate Matters, L.L.C. is here to help anyone with special needs, as well as friends and relatives of people with a physical or mental disability. We know how to make the law work to protect both assets and eligibility for benefits, and we will work hard to make sure people who are disabled get the care and support they need. Give us a call at 314-966-8077 or contact us online to learn more.